The color green means life and growth and is the most common color in nature. 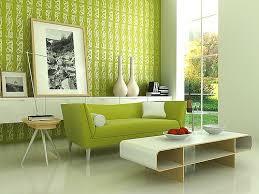 Psychology recognizes green as a color of growth, harmony, and freshness. 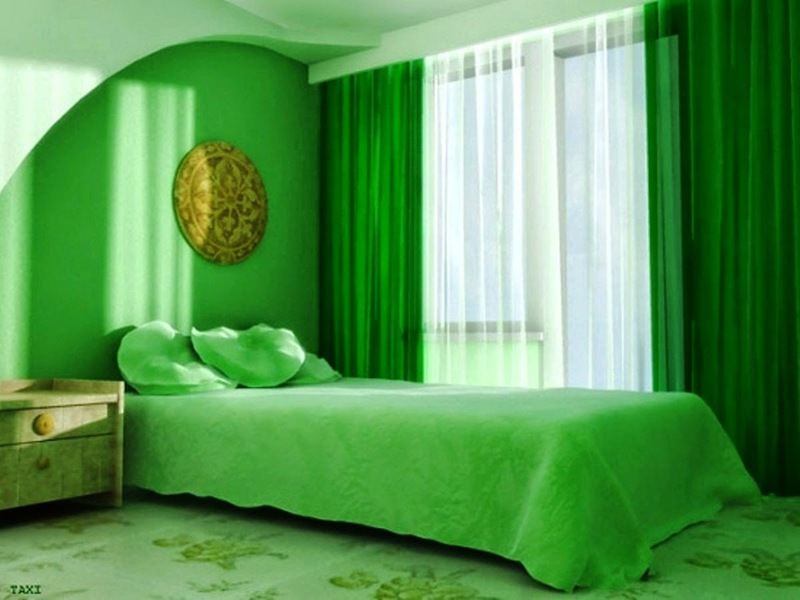 Green is said to be restful to the human eye. Because it is a secondary color (a mixture of yellow and blue) it is considered peaceful and stable; a balance between a cool color (blue) and a warm color (red). Shall we use it in our home décor? 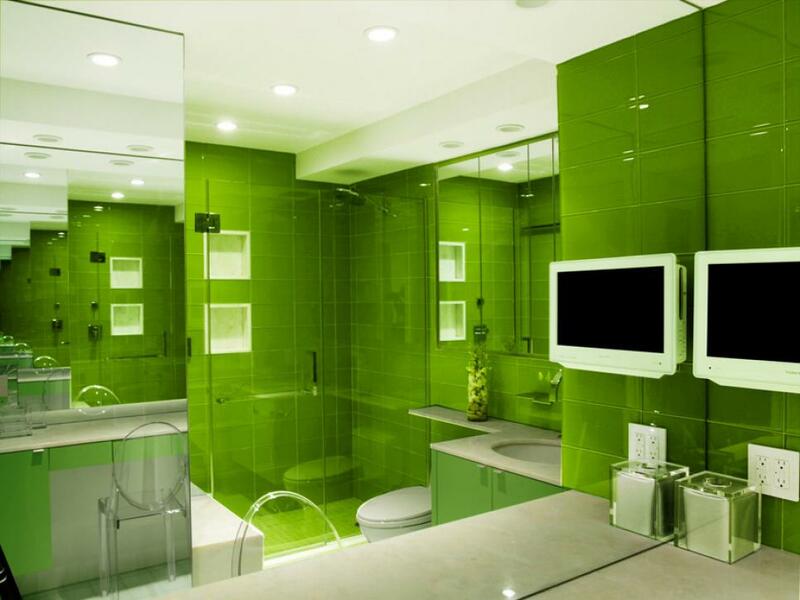 Green is a calming color which soothes anxiety and nervousness. It also helps to ease depression. 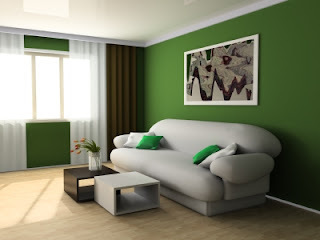 The negative effects of too much green are laziness, moodiness, slowness and, believe it or not, depression. Do we want to make breakfast here? 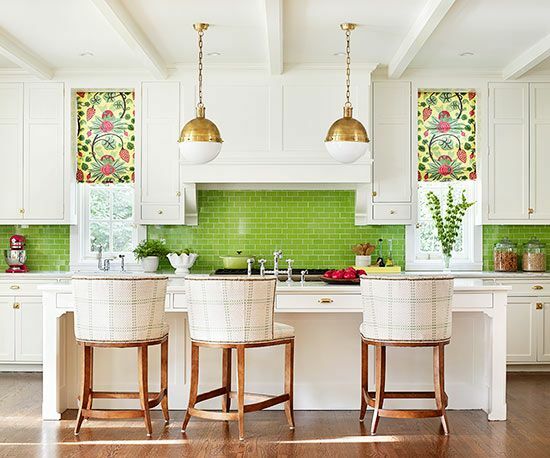 You see a bit more yellow in the above green giving it a lighter, more cheerful effect. Check out the children's room. Is this cheerful enough? Nice! the blue helps to calm the effect. The living room is where we want to relax after a hard day, right? This shade of green has enough yellow to make it too lively for me. 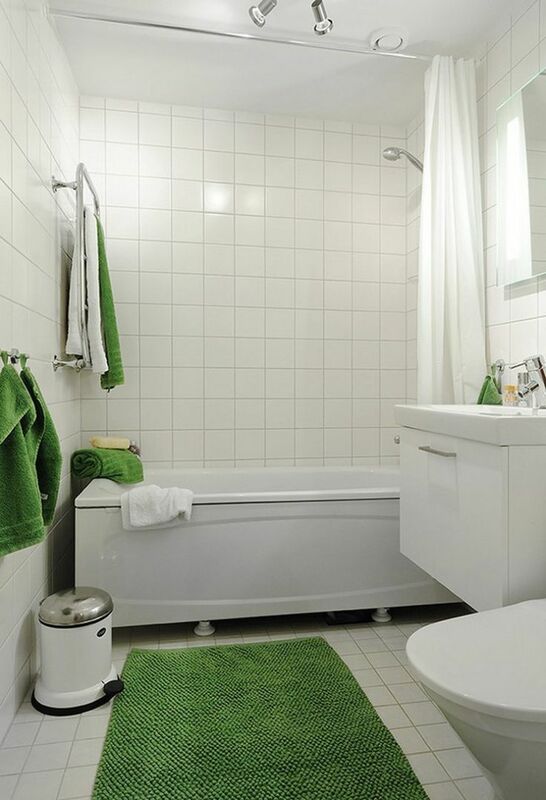 The green in the room below has enough blue to give it a calming air. What about the bedroom? Well, some authorities say that green is a good color for the bedroom as it is the color of fertility. Hmmmmm! 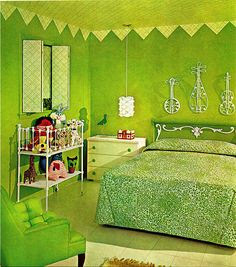 Personally, I like the bedroom below with the super pale blue walls and the large green plant in the corner. 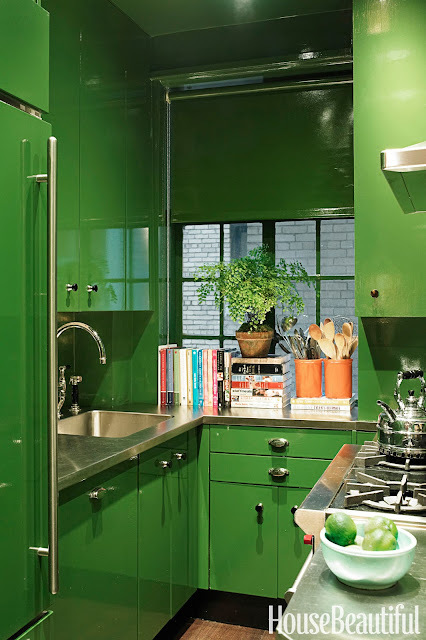 How do you feel about the color green? I would like suggestions for the dining room.